For as many Citroen DS/ID cars as were built, you’d think the supply would dictate a fairly low price. However, there seems to be enough interest in these that a nice driver is around $10-20K. Anything lower than that usually gets you a backyard special, baked with love under the California sun. With some patience, though, you can find a driver with cosmetic needs – call it a driver project, a jalopy, or une guimbarde. 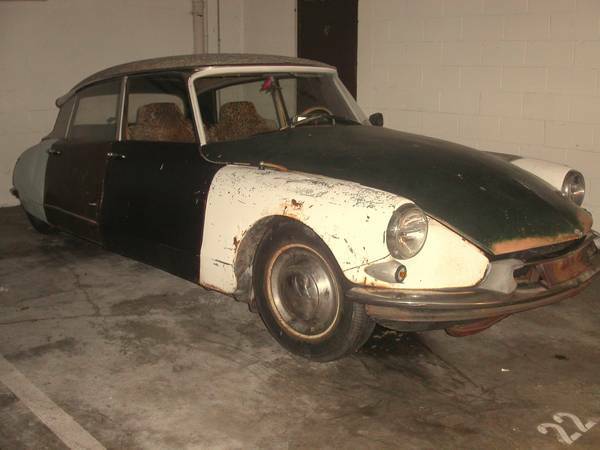 Check out this 1961 Citroen ID19 for sale for $3500 in Berkeley, CA. Normally, these look far better with shiny paint, preferably in a mid-century modern muted color. This one somehow looks good wearing the kind of finish that would normally look cooler on an old 1950s pickup, but it makes this car look cool. While it’s saying nothing new, this car was already in production 6 years by the time this car was built. And think of what was out there at the same time – BMW’s 502, the ponton-bodied Mercedes, long-in-the-tooth bubble-top designs from GM, and the rubenesque Silver Cloud from Rolls Royce. No shots of the driver’s side says watch out for damage there, but otherwise it makes a rather decent impression. 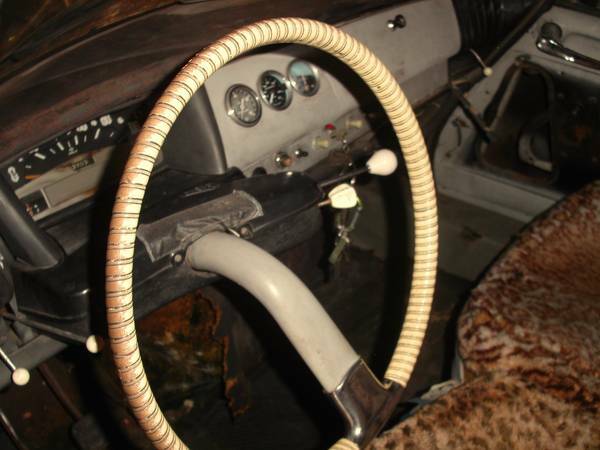 So the interior needs attention too – big surprise. The seller has retained the front door cards for making patterns, and the seats appear to have two layers of seat covers (never a good indication!). He has owned the car for about 15 years, and it seems to have been in storage for the last 5, though he says the engine is strong and the suspension has never failed him. Okay, so “strong” is perhaps subjective, but hopefully the grease on the outside means he’s kept the whole car well-lubricated. 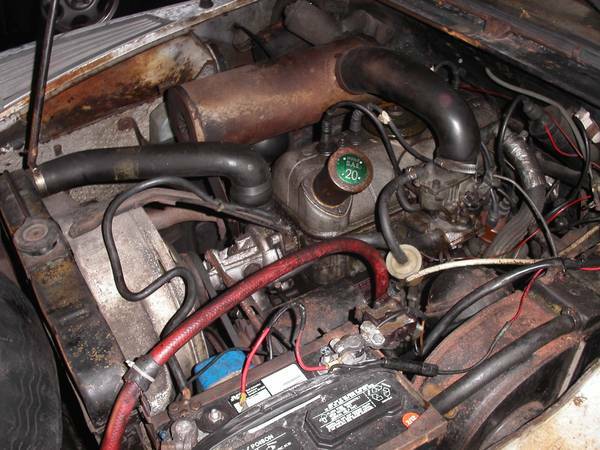 You’ll probably want to clean the engine if you intend to be doing much work on it. In other shots, the trunk floor appears solid, and the rear seat looks to be in good shape. Perhaps an interior and mechanical tidy-up would be just enough to make this a fun weekend driver. 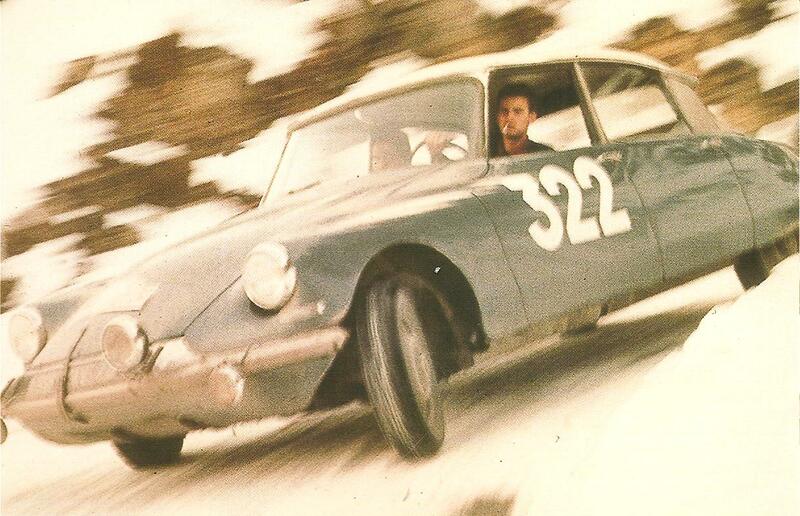 Or, do a low-budget LeMons style repaint of the car, inspired by period rally shots like the one below – what would you do? This entry was posted on December 31, 2014 at 7:01 pm and is filed under Feature. You can follow any responses to this entry through the RSS 2.0 feed. You can leave a response, or trackback from your own site.